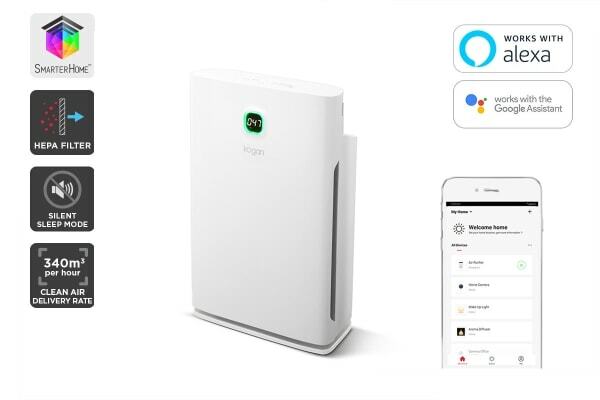 Purify the air around you and protect your lungs from pollutants and allergens with the Kogan SmarterHome™ Smart Air Purifier, monitoring air quality and filling your space with cleaner air in just 10 minutes! Everyday we can ingest air with contaminated particles that can have damaging effects on our lungs and our breathing. Fill your lungs with cleaner air and help to cleanse your space with just a tap of a button thanks to the Kogan SmarterHome™ Smart Air Purifier. 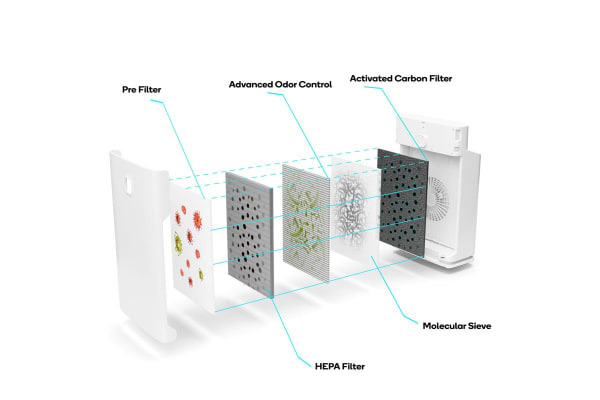 Send allergies packing with the HEPA filter, trapping up to 99.97% of fine dust, pollen, pet hair and other damaging particles that can filter throughout your body to cause asthma and other respiratory stress triggers. 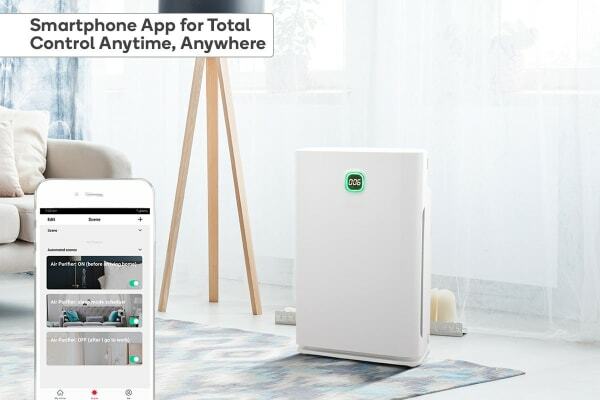 Get peace of mind for you and your family’s lung health thanks to the AQI monitor, which reads the current air quality of your room and notifies you via the app when the air reaches unsanitary levels. 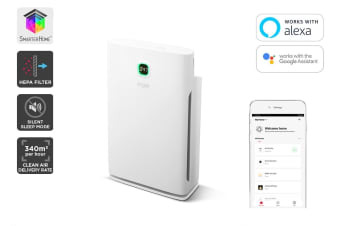 You can also remotely control the SmarterHome™ Smart Air Purifier via the app, and set timers, change the fan speeds or turn the unit off from anywhere in the house.